The entire container is singularly constructed from a single piece of material. To create a new pizza box, Apple turned to longtime Apple Café maestro Francesco Longoni. 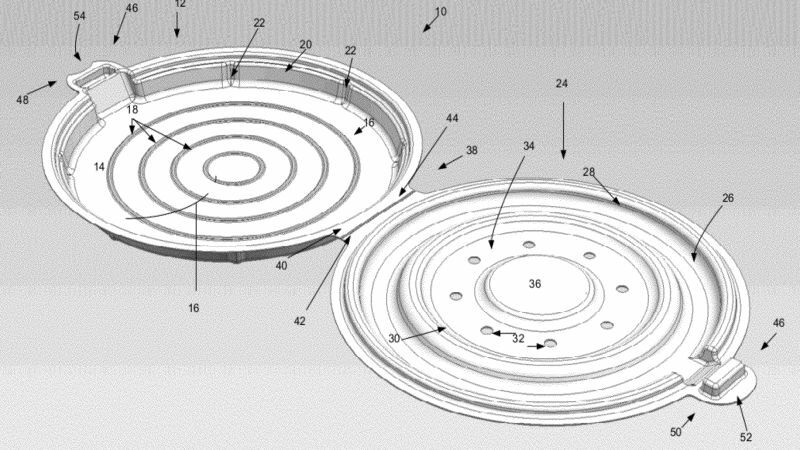 A patent for the pizza container was filed in 2010, even though the cafe still hasn’t opened yet. Unlike traditional pizza boxes, Apple’s is circular and doesn’t have to be assembled before use. It features eight holes on the top to let steam out while still retaining most of the heat. The special boxes also feature nested ridges at the top so boxes can be stacked on top of each other. 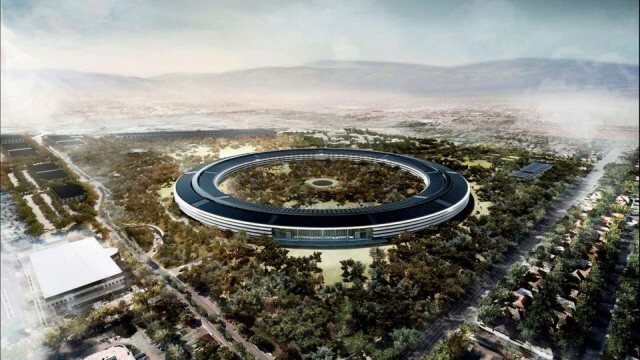 Before Apple and its architectural partners settled on the circle shaped campus, Steve Jobs wanted its shape to be more like a bloated clover-leaf. Over time Jobs realized it was a bad idea. The cafe doors are yuuuuuuuge! Apple wanted its cafe to be open to the weather on nice days. To accomplish the feat, it commissioned its favorite glass-maker to create two giant glass sliding doors that are bigger than what you’d find on an airplane hanger. Each door is about 85 feet by 54 feet. Combined with the steel that frames the doors and the structural components, each leaf weights 440,000 pounds. Because Apple wanted minimal noise in its restaurant, all of the machinery that opens and closes the giant doors was put underground. Stefan Behling, a Foster partner who became one of the project leads, recalls talking Steve Jobs about what he wanted individual work pods to look like. Jobs vision was so precise he knew everything down to the specific type of wood that should be used. The new campus is located in one of the most seismically active areas of the U.S., so making sure it can withstand earthquakes over the next 100 years of planned used is critically important. 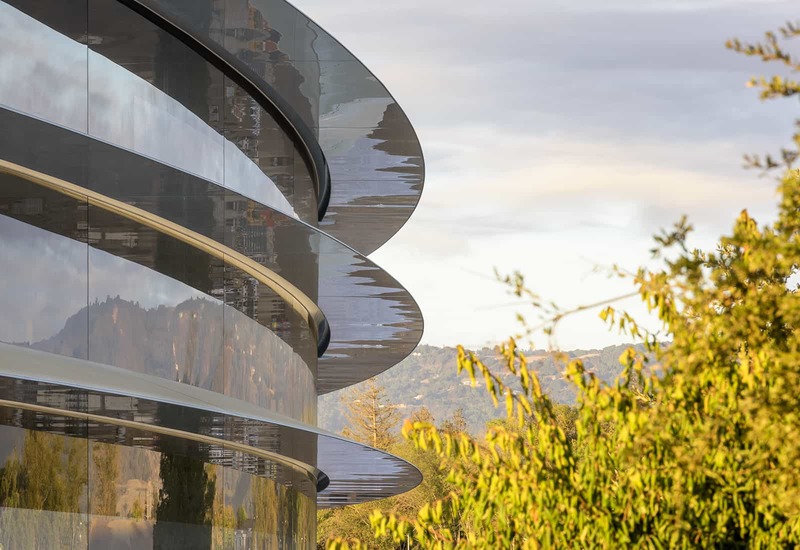 To make the building more flexible, Apple mounted the Ring on huge steel base isolators that ensure the building can move up to 4.5 feet in any direction without losing its vital services. 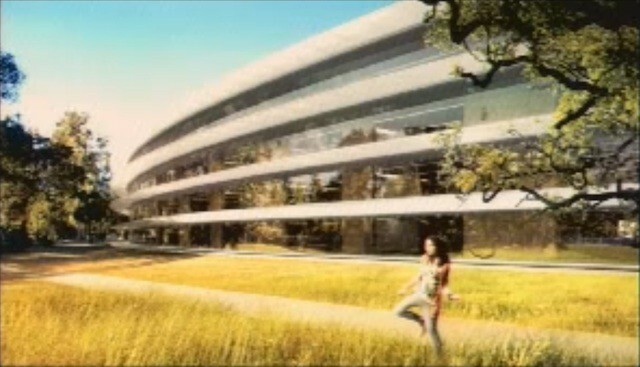 Steve Jobs wanted the stone on the exterior of the Fitness & Wellness Center to look like the slabs at his favorite hotel in Yosemite. To pull of the look, Apple sourced its stone from a special quarry in Kansas and then distressed it like you a pair of jeans to give it a more rustic look.